Obviously, homeowners everywhere have to deal with weeds from time to time. However in the warm weather and high humidity the Tampa Bay area has to offer, weed can take over a yard if not actively protected against. If you are going to come up with a plan of attack to deal with weed problems the first step is to know your enemy. You have to understand their specific make up and what treatments work best to eradicate them. In the Tampa area we have a few common weeds to look out for. 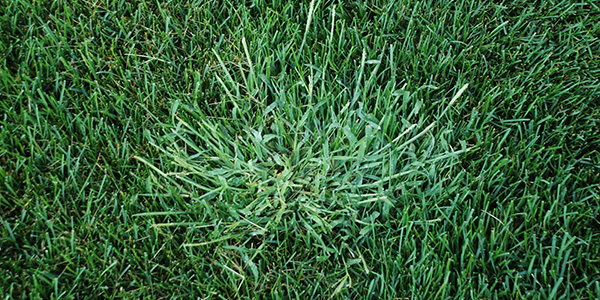 Crabgrass: One of the most common culprits in the Tampa area is crabgrass. Crabgrass usually appears tan or purple, has a flat blade with a sharp point, and tends to grow in the full sun. Florida’s warm weather allows crabgrass to thrive by greatly reducing the chance of frost which is this weed’s kryptonite. Broadleaf Weeds: Broadleaf weeds are characterized by having a broad leaf shape. Broadleaf isn’t as much a weed itself as it is a category. Broadleaf weeds include common pests like Asiatic hawksbeard, creeping beggarweed, pennywort, oxalis, and matchweed. Dandelions: Characterized by a long stem ending in a puffball or yellow flower, these weeds can spread very quickly if left unchecked. The dandelion is not exclusive to Floriday by any means as it can be found throughout the United States. When the plant is ready to spread its seeds the puffball forms, and the wind blows the seeds off of the puffball and away from the plant to create new weeds. Black Medic: The Black Medic tends to appear in the summertime, and is dark green in color. It can be found all over the United States and even in Hawaii. This weed has the ability to spread rapidly. It has a tendency to completely take over a lawn if not kept in check so if you discover it you need to deal with it right away. How to Eliminate Common Florida Weeds? So now that you have identified the “Usual Suspects” when it comes to common Tampa weeds the real question is, how do you get rid of them? You could always try pulling them out by hand, but that is labor intensive and doesn’t really work as well as you might think. In other parts of the country cold weather keeps weeds in check by killing them off. One of the cons of the beautiful Tampa weather that we have is that it rarely gets cold enough to purge the weeds from our lawns. The secret, if you want to call it that is to prevent weeds before they take root. Do Not Disturb! Weed seeds are no different from most other plants in that they need sunlight to germinate. Obviously, the weeds that you see have already received enough sunlight to germinate, but chances are the many more seeds below the surface of the soil just waiting for you till the soil the soil and let there by light. If possible you should till your soil by hand. Mulch, Mulch, and More Mulch! We have discussed mulch many times before, but it is worth repeating that mulch does a lot more than just look pretty. It actively smothered weeds by not allowing sunlight, moisture and nutrients in. To keep weeds at bay you should spread a layer of mulch 2-4 inches deep. Use Herbicides! If weeds seem to be getting the better of you, herbicides might be the way to go. Be sure to select a pre-emergent herbicide that will kill the weeds you don’t want, but will leave your existing plants unharmed. For herbicides, planning in advance is the way to go. If weeds are starting to take over your lawn and you don’t want to be stuck doing all the dirty work, it might be time to call in the professionals. Assure Green team has the tools and the know how to handle all of your weed problem, and restore your lawn back to all its former, pre-weed glory. You shouldn’t have to spend your weekends in the dirt.